Mark Zuckerberg recently went on an all-out charm offensive to curry favor with China’s government. His visit may have played well with Chinese officials, but from this side of the Pacific, it looked as if he was willing to sell his soul to gain access to the Chinese market. Facebook had an estimated 1.59 billion users by the fourth quarter of 2015, but it’s still denied access to China, the world’s biggest Internet market, where more than 721 million people have Internet access. Zuckerberg has long coveted that market. He’s gone so far as to learn Mandarin, and though conquering China has never been among the reasons he has cited for doing so (his wife’s Chinese background was the main factor, he says), being able to butter up Chinese officials in their own language doesn’t hurt. Just a regular tourist keeping the folks back home apprised of his overseas doings, right? Not quite. The New York Times, noting that access to Facebook is blocked in China by the Great Firewall, pointed out that Zuckerberg probably had to use a VPN to evade Chinese government Internet filters in order to post the photo and message. The air during his jog was foul and gray. The Times reported, “The faint smell of something burning hung in the air,” adding that children wore face masks to protect them against the pollution, while in homes and offices people turned up their air purifiers as high as they would go. So why the jogging in the dangerous air, and the accompanying happy talk? To please the Chinese government, which is extremely sensitive about its air-quality woes. But such people may be underestimating Zuckerberg. His Facebook post was packed with subliminal kowtowing. Besides the “What air pollution?” subtext, there was the symbolism of where Zuckerberg chose to run: the site of the Tiananmen Square massacre, an event about which the Chinese government is so sensitive, it censors any and all online mentions of it. By choosing that location for jogging, Zuckerberg sent an “all-is-forgiven” message to Chinese officials. To drive home the point, Hong Kong-based journalist Tom Grundy Photoshopped a mashup photo of Zuckerberg jogging at the head of the phalanx of Chinese army tanks that overran the square during the massacre. The jog was only the start of Zuckerberg’s courting of Chinese leaders. He met with China's propaganda czar, Liu Yunshanm, which was something of a coup for China. In return, the official Chinese news agency Xinhua reported on the meeting, possibly signaling that the government is considering granting Facebook the market opening that it craves. Meanwhile, the government seemed to be taking steps to ensure that Zuckerberg and Facebook got the message that entry into China would come with a steep price (such as Zuckerberg’s soul). 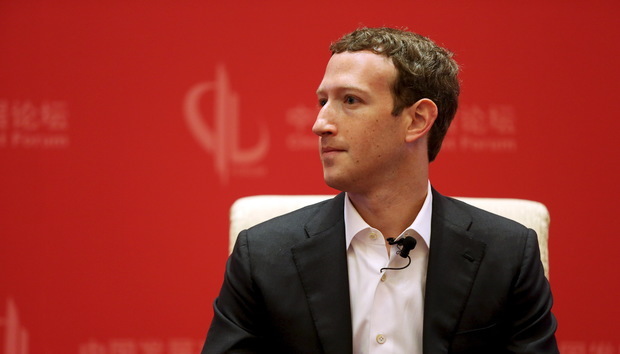 The International Business Times reported that the Chinese government used one of its official mouthpieces, the Global Times newspaper, to quote a cyber-expert to warn “that since Facebook’s filter system for dealing with ‘harmful information and internet fraud’ was ‘relatively lax,’ it would first need to be ‘improved according to Chinese laws.’ ” In other words, if Facebook wants in, it will have to agree to heavy censorship. It’s disheartening to see Zuckerberg act like this. In other ways, his heart is in in the right place. He has said he will donate 99% of his Facebook shares to charity during his lifetime — shares that were worth about $45 billion at the time he made the announcement. And by most accounts, employees are treated very well at Facebook. It was number one on the list of “Business Insider's 2015 list of the 50 Best Companies to Work for In America,” and also number one on the “The 25 Best Places to Work” list compiled by the jobs site Glassdoor. Zuckerberg is endangering these good works by the way he’s been playing footsie with the Chinese government. He should give serious thought to whether he wants to pursue the Chinese market in this way at what seems to be a high cost to his legacy.